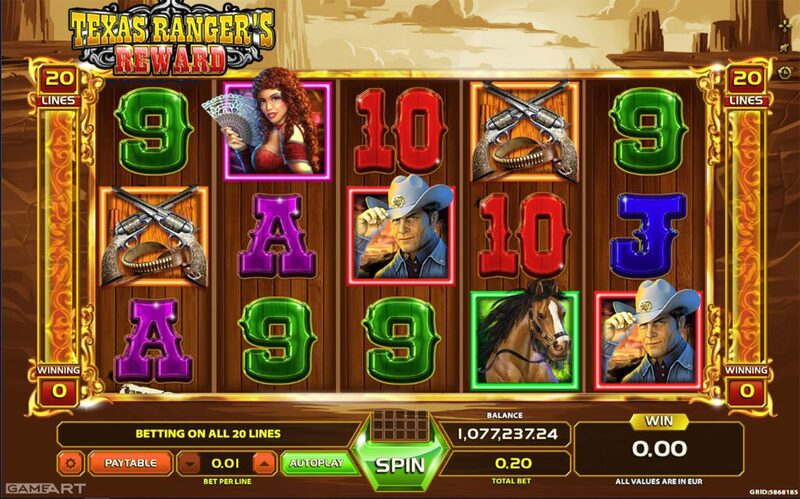 Get your dose of the wild west adventure by playing TEXAS RANGER’S REWARD slot game. The 5 reel – 20 pay line game is all about wild experience chasing stacked wild symbols that can award big prizes. 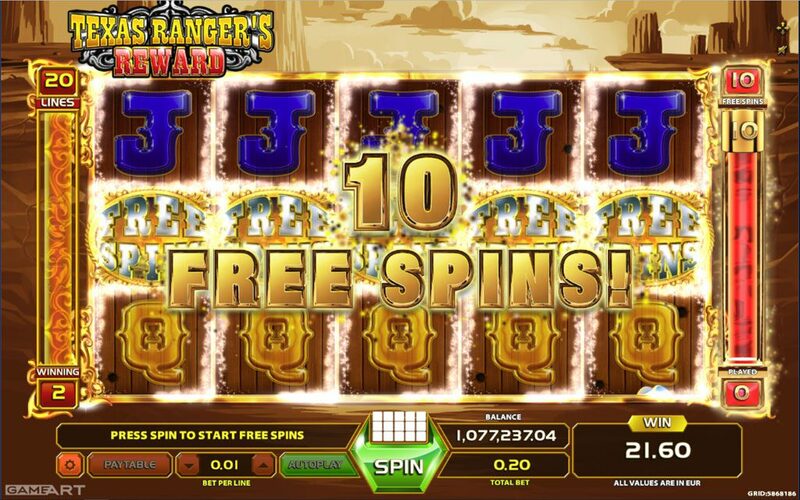 10 Free Spins are triggered by any 3 or more scatter symbols. 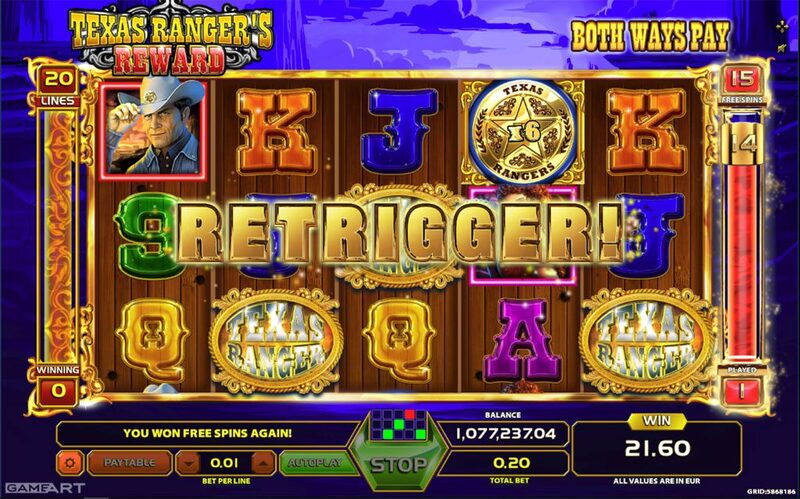 During the Free Spins when Gols Star wild symbol substitutes in a line win on reel 2, the win is multiplied by X2 or X4 as displayed on the reel. If a Gold Star wild symbol substitutes in a line win on reel 4, the win is multiplied by X2 or X6 as displayed on the reel potentially multiplying the win by X24. 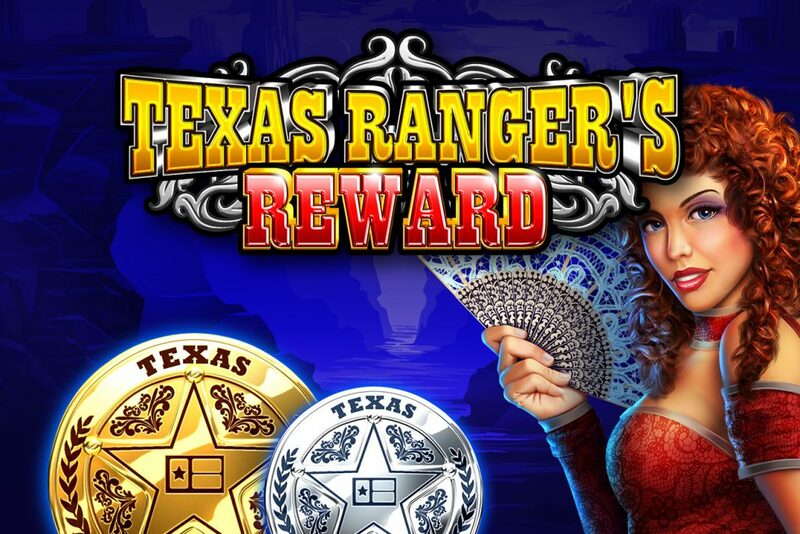 Free Spins can be retriggered with any 3 or more Scatter symbols awarding additional 5 Free Spins. During Free Spins only, all wins pay left to right and right to left. We wish you a successful prize hunt!